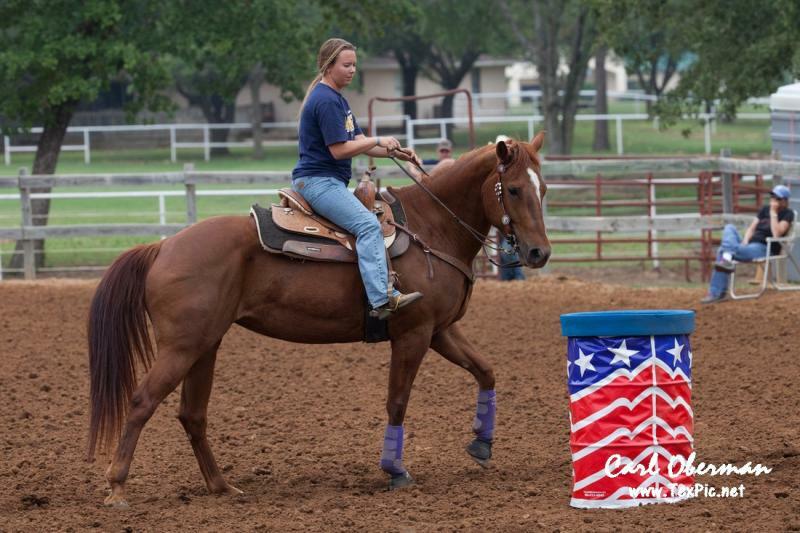 Rebel Barrel Horses - Barrel Training AgreementYou will be asked to sign the most up to date agreemnet when you drop your horse off for training. You will be asked to sign the most up to date agreemnet when you drop your horse off for training. This Agreement is made between Windy Griffith/Rebel Barrel Horses (Trainer) and _______________________ (Owner), owner of the horse described herein. In consideration of $850.00 per month paid by Owner in advance on the first day of training each month, Trainer agrees to board and train said horse beginning _____________________, 2018 on a month-to-month basis. Included in the fee above is HAY, grain, daily cleaning of stall, training time (no less than 5 days per week). *During inclement weather, if the 5 days per week cannot be made up during the 30 day training session, a $8 per day boarding fee will apply. Trainer agrees to provide normal and reasonable care to maintain the health and well-being of said horse. Care and services NOT included in the fee are: Farrier services, de-worming, vaccinations, dental work or Veterinarian services. All horses in training must be current on worming and vaccinations. These are administered regularly to all horses under my care, and the cost is billed to the owner. If you prefer you may provide your own dewormer or schedule your own veterinarian to administer these services. Before any horse is trained by Rebel Barrel Horses we require a current coggins. We ask that you have the coggins drawn as close as possible to the arrival day. We also require that all horses have their feet done as close to arrival day as possible. If emergency treatment is needed, Trainer will attempt to contact Owner but, in the event Owner is not reached, Trainer has the authority to secure emergency veterinary and/or farrier care. Owner is responsible to pay all costs relating to this care. Trainer is authorized as Owner's agent to arrange billing to Owner. This option includes all exhibition-run fees, mileage fees and hauling your horse 4 times in a 30 day training session for a flat rate of $100. A Total of $950 per training session if wanted. *Hauling To a MAJOR Barrel Event - If I ride the horse at mutually agreed-upon shows, the owner shall pay for horse's entry fees, ground fees, stall fees, and/or expenses incurred while being shown and transportation $.60 per mile both ways. This millage fee applies to any show more that 50 miles away from RBH training facility. While the horse is boarded at Trainer, Trainer shall not be liable for any injury, sickness, death or theft suffered by the horse of any other cause of action arising from or connecting to the boarding of the horse. Owner fully understands that Trainer does not carry any insurance for any horses not owned by her for boarding or for any other purposes, for which the horses are covered under any public liability, accidental injury, theft, or equine mortality insurance; all risks are assumed by Owner. Owner agrees to hold Trainer harmless from any loss or injury to said horse. All costs, no matter how catastrophic, connected with boarding, training, or for any other reason for which the horse in on the premises of Trainer, are to be borne by Owner. Owner agrees to hold Trainer harmless from any claim resulting from damage or injury caused by said horse and agrees to pay legal fees incurred by Trainer in defense of a claim resulting from damage by said horse. I as the trainer reserve the right to notify owner within 7 days of arrival if the horse, in my opinion, is deemed dangerous, handicapped, or untrainable; in such case, Owner is responsible for removing horse within 7 days and all expenses incurred during horse's stay. After all fees have been paid in full, contract is concluded. All payments must be made with cash, certified check, or money order. ABSOLUTELY NO PERSONAL CHECKS WILL BE ACCEPTED unless pre discussed. LATE FEES @$10.00/day DO APPLY. Trainer has the right of lien as set forth in the law of the State of Texas for the amount due for the board and training and shall have the right, without process of law, to retain said horse until the indebtedness is satisfactorily paid in full. How did you learn about Rebel Barrel Horses? Let us take your horse even further in the training process by taking your horse once a week to another arena for practice runs. This help get your horse use to working away from the safety and comfort of the practice pen. This also gives you an understanding where your horse is in the training process. This option includes all exhibition-run fees, mileage fees and hauling your horse 4 times in a 30 day training session for a flat rate of $100.